Michael S. Krzak was named to the 40 Under 40 Hall of Fame established by the Law Bulletin Publishing Company on July 28, 2014. Michael S. Krzak, partner at Clifford Law Offices, was named to the 40 Under 40 Hall of Fame established by the Law Bulletin Publishing Company. Krzak, who initially was named to 40 Under 40 in 2001, was named to the inaugural year of Hall of Famers this year. 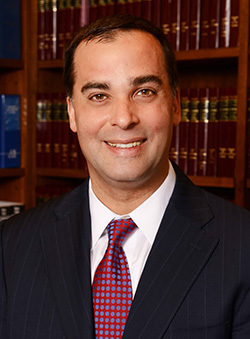 Krzak began with the firm upon his graduation from DePaul Law School in 1997 and was named its youngest partner in 2004. He has worked on some of the most complex cases at the firm, including many of its aviation matters including the crash of a commercial jet heading to Buffalo, New York; the crash of a plane on the runway in Lexington, Kentucky; and the crash of a jet at Schipol Airport in Amsterdam. Most recently he held a press conference in Boston regarding the representation of seven of the eight young women who were injured in a “human chandelier” act while performing at the circus in Rhode Island. Bradley Cosgrove, partner at the firm, was named to this year’s 40 Attorneys Under 40 to Watch” by the Law Bulletin Publishing Company. Michael S. KrzakMichael Krzak is a partner at Clifford Law Offices and one of our Chicago accident attorneys. He is also a part of our team of aviation law attorneys. Mr. Krzak is a hard-working individual, putting every ounce of effort and enthusiasm into his workday. Chicago Law FirmFirm practice areas include the following: personal injury and wrongful death, including aviation litigation, transportation liability, medical malpractice, hospital negligence, faulty medical devices and product liability law. Clifford Law OfficesWe are a nationally respected law practice. Bob Clifford has the distinction of being selected by Super Lawyers, a peer-review organization, as the number one lawyer in the state of Illinois in 2014, marking the sixth consecutive year of this top honor.